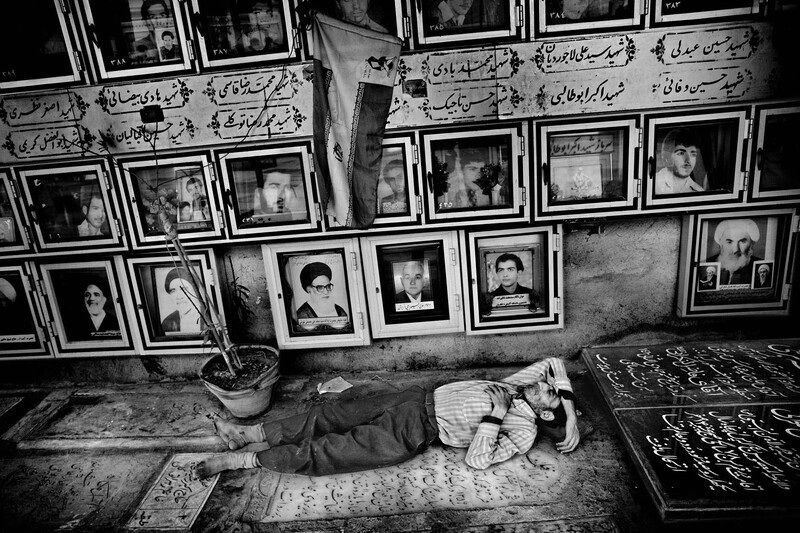 IRAN, QomMan sleeps at the graveyard in the central parts of Qom, outside the Fatima sacracy. The pictures shown martyrs from the war between Iran and Iraq. In 2009, there will be 30 years since the islamic revolution in Iran. Today, there are more than 50 millions iranians, or 70 percent, that are under the age of 30. They are living between the old and traditional system and the modern Iran with internet, music and sms. And they experience huge differences in the society.